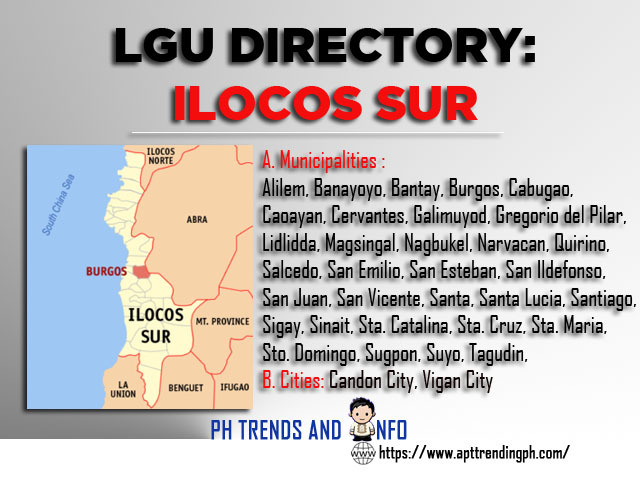 Home Government Contact Number Government Contact Number in Ilocos Sur. Government Contact Number in Ilocos Sur. Mayor: Leopoldo G. Gironella, Jr.
Mayor: Jesus B. Bueno, Jr.
Mayor: Fernando C. Quiton, Sr.
Vice Mayor: Daniel Laño Jr.
Mayor: Samuel B. Subagan, Jr.